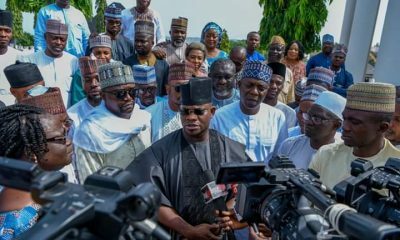 Ahead of the Governorship and state house of assembly elections, a report has revealed that the Kogi State Governor, Yahaya Bello is planning to dissolve his cabinet after the Saturday election. 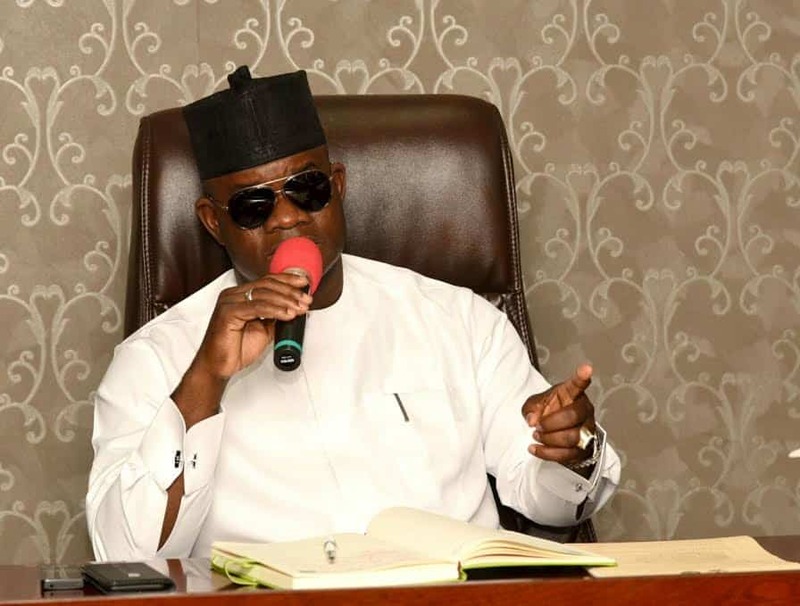 A source close to the Government House who spoke on the development stated that the Governor is not happy with the political appointees from Kogi West who were unable to deliver the seven local government councils during the presidential and National Assembly elections. 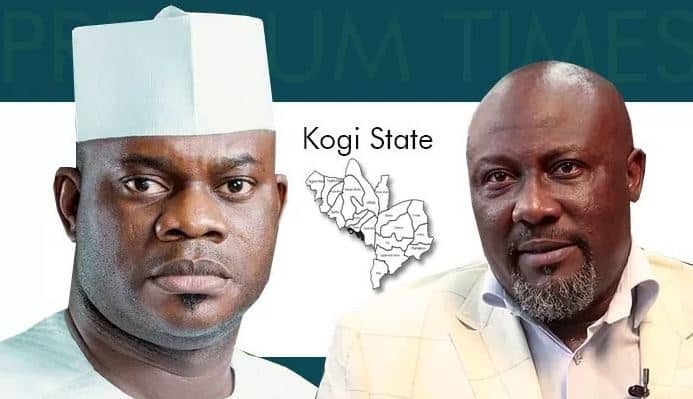 The report revealed that Bello was angry because the Kogi West appointees could not mobilise people to vote against Senator Dino Melaye. 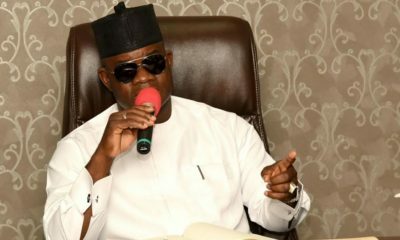 According to Daily Post, the governor is planning to replace the Commissioner for Finance, Mr Ashiru Idris and his younger brother, Abdulrazak Ashiru, the administrator of Yagba East. The source further revealed that the governor has ordered the political appointees, to deliver during the Saturday election. 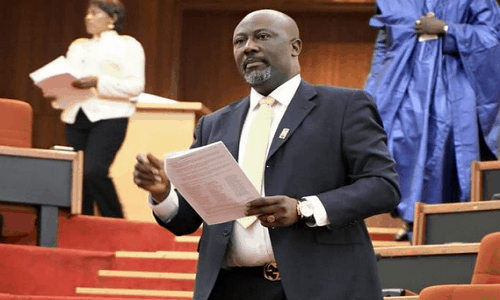 The governor was reported to have taken this decision during a meeting with stakeholders of the All Progressives Congress in the state. 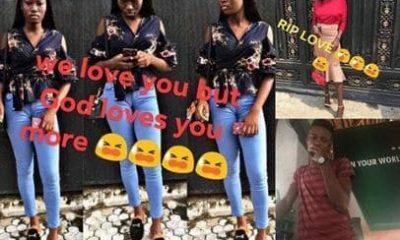 The Director-General, Media and Publicity to Kogi State Governor, Kingsley Fanwho while reacting to the claim stated that the information was false. According to him, the president has placed no threat on the appointees from Kogi West to deliver or get dropped. 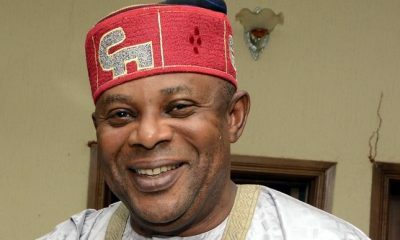 He also stated that the party is working towards coming out victorious in the forthcoming elections. 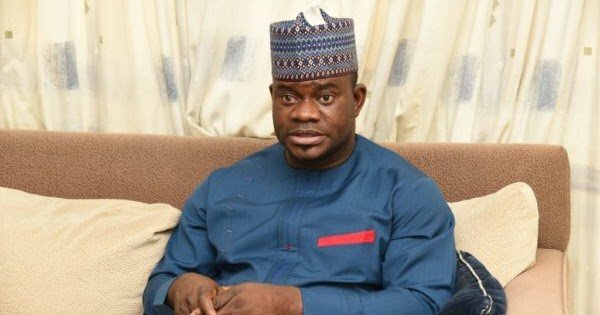 Naija News also reports that the Governor of Kogi State, Yahaya Bello has signed the state 146 billion budget into law.